23" Tall. 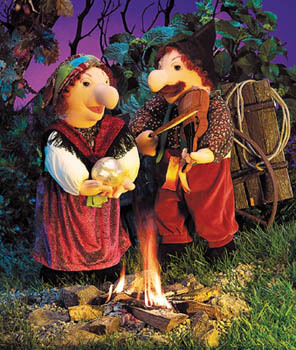 This Gypsy Fiddler puppet features a moveable mouth. The Fortune Teller Character puppet is sold separately.